*These deals are available for Xbox Live Gold members only. Tomorrow is the final day of 2014 before we usher in the New Year, which means this is the last Countdown to 2015 update. Today’s daily deal is for a collection of seasons passes, consumable items and add-ons for a variety of different games. For a full list of Xbox One deals, click over to the official Xbox Countdown to 2015 site here. For a full list of Xbox 360 weekly deals, click over to the official Xbox Countdown to 2015 site here. There are only a few days left in the Countdown to 2015 celebration including today’s daily deal for Terraria, the sandbox adventure game featuring over a dozen environments and hundreds of items to craft. Remember these daily deals won’t last more than a day. For a full list of Xbox One deals still available, click over to the official Xbox Countdown to 2015 site here. In addition to today’s Countdown to 2015 daily deal, here are this week’s games and add-on deals on the Xbox Games Store. Discounts are valid now through 5 January 2015. Updated to reflect actual pricing. The holidays are almost over, but there’s still time to take advantage of the special, limited-time pricing of $50 off the Xbox One Assassin’s Creed Unity Bundle and Xbox One Assassin’s Creed Unity Bundle with Kinect. For one final week, fans can purchase Xbox One starting at $349 in the U.S. until this Saturday, Jan. 3 at most major national retailers, including Amazon, Best Buy, GameStop, Microsoft Stores, Target, Toys ‘R Us and Walmart. These deals are only valid for online purchases and are subject to change at the retailer’s discretion. Toys ‘R Us: $50 off Xbox One Assassin’s Creed Unity Bundle or Xbox One Assassin’s Creed Unity Bundle with Kinect, plus a free Xbox One controller. *$50 off any Xbox One console or bundle. Offer valid through Saturday, Jan. 3, 2015 at participating retailers in the U.S. If you’ve already taken advantage of the special pricing this holiday season or received an Xbox One as a gift, we’ve got a great lineup of exclusive titles and broad portfolio of games available. Spend the rest of your holiday vacation playing exclusive titles like Halo: The Master Chief Collection, Sunset Overdrive and Forza Horizon 2, alongside fan favorites like Assassin’s Creed Unity, Call of Duty: Advanced Warfare, Destiny, Dragon Age: Inquisition, FIFA 15, Madden NFL 15, Grand Theft Auto V, Minecraft and dozens more. Don’t forget, the limited-time pricing of $50 off ends this Saturday, Jan. 3, so be sure to take advantage of this offer before it’s gone and check with your local retailers for additional holiday deals. Fans who purchased Halo: The Master Chief Collection have access to the Halo 5: Guardians Multiplayer Beta starting today through Jan. 18, 2015. 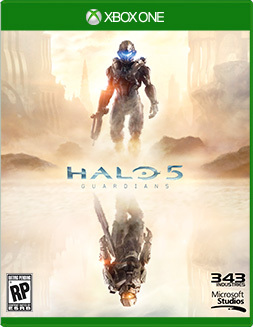 Launching in fall 2015 exclusively on Xbox One, Halo 5: Guardians continues the story of the Master Chief, and introduces a brand new central character to the Halo universe – Spartan Locke. Peace is shattered when colony worlds are unexpectedly attacked. And when humanity’s greatest hero goes missing, Spartan Locke is tasked with hunting the Master Chief and solving a mystery that threatens the entire galaxy. Read the full announcement over at the Xbox Wire. A pair of Assassin’s Creed games are available on today’s Countdown to 2015 deal. Grab Black Flag for the Xbox One or Liberation for the Xbox 360. More Daily Deals incoming tomorrow. And for the PC gamers, Age of Empires II HD & Age of Empires III are 80% off today during the 2014 Steam Holiday Sale. Today’s Countdown to 2015 daily deals include a collection of indie titles for the Xbox One or you can pick up Grand Theft Auto V for the Xbox 360. The next round of daily deals in the Countdown to 2015 will have you singing and dancing if you have an Xbox One or you can pick up Resident Evil 4 for the Xbox 360.